Juan Ripollés (1932) Born in Castellon, Spain. From 1944 to 1952, Juan Ripollés attended evening classes at the Francisco Ribalta School in Castellon. In 1952 he moved to Paris to return to Spain in 1963. Where he lives and works in the hinterland of Castellon. 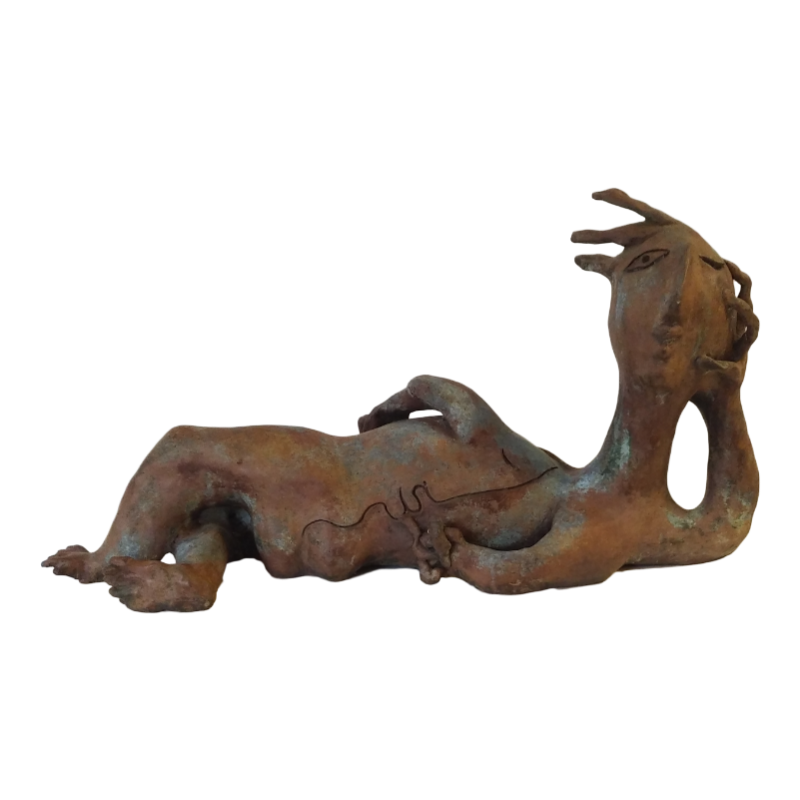 Paintings, sculptures in bronze and glass and material etchings. The sculptures in glass are made in Murano (Venice) ao he has large monumental statues in Valencia. He was honored with a large book of his entire oeuvre and the honorable prize “merites de artes.